oh the weather outside is frightful. with temperatures below freezing all week i have spent A LOT of time in my winter coat. the thing is, when it's really cold, does anyone look good? i did a little investigating to find out how to help. here are some suggestions you may want to follow when choosing your winter coat. 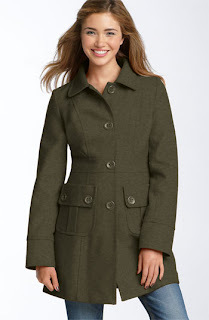 the structured coat. this is a great decision for the curvy girl. the structure provides a flattering shape, and if you are bustier up top, go for a shorter length. this will show of your gorgeous gams. if you hurry you can pick up this beauty on sale at Nordstrom for $50. the trendy coat. the cape coat is this seasons trendy coat. a flattering style for all body types and if purchased in the right color, could be a timeless piece. pick one up at H&M for $75. ﻿the multi-purpose coat. need a coat you can wear to work, school, church, parties and more? 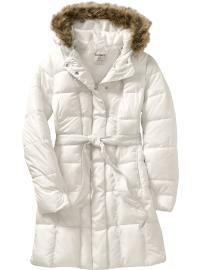 check out this winter coat. the ruffles give it the flair to transform from casual to formal, and the length and style allow for versatility. pick this one up at Nordstrom on sale for $27. hope this was helpful in styling up your winter wardrobe. if you have any more suggestions, please let us know.